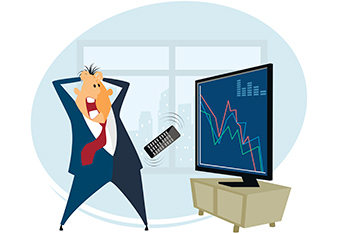 Midcap and smallcap stocks cracked in intraday trade on Monday. Indian equity markets ended in the red for the second consecutive session with selling pressure witnessed across the board. Nifty ended the session 54 points lower at 10,888, while Bank Nifty settled 66 points lower at 27,227, with both indices recovering marginally from their respective low points of the day. The selling pressure was more severe in the broader markets with Nifty Midcap 100 and Nifty Smallcap 100 indices closing 1.67% and 1.8% lower, respectively. Nifty PSU Bank was the worst-performing sectoral index of the day and fell 1.74% led by a sharp correction in stocks of SBI and Canara Bank. Meanwhile, Nifty futures added fresh short positions as open positions continued to soar higher with the declining market price. On the options front, short covering was witnessed in in-the-money (ITM) and at-the-money (ATM) put option strikes with 11000PE and 10900PE witnessing a reduction of ~3 lakh and ~3.3 lakh shares, respectively. India Vix ended the session 0.27% higher at 15.61.